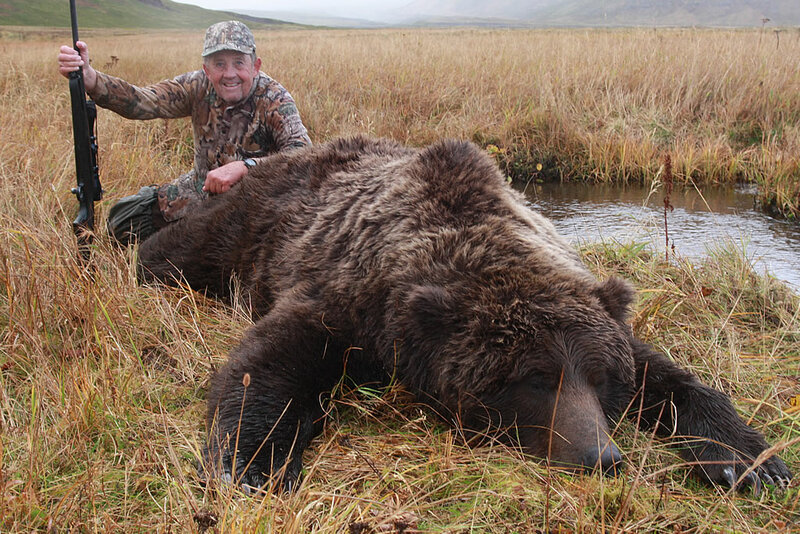 Having a Fall Unimak Island permit, Steve Clark of Farmington, New Mexico was fortunate to harvest this 10’2” bear on the seventh day of his hunt. Steve was set on a 9’ bear for the perfect space in his trophy room. While stalking the bear Steve’s guide, Charlie, said “it may be a little bigger than you want”. Steve commented back: “Sometimes bigger is not always better, but I’ll take it”. How often does that happen in the hunting world?